How can you get even the most traditional workspace to go remote? This winning strategy will help you overcome even the most ‘traditional’ objections. I’ve heard all the excuses in the book when it comes to objections to working remotely… and guess what? Nine times out of ten there is a solution or alternative. This winning strategy will list out some of the most traditional things you could do at an office and how even those tasks can go remote. P.S. Before we dive into it, if you want to work remotely while traveling the world, don't forget to get on the waitlist for the 'How to Become a Digital Nomad: The Complete Guide' Online Course. Registration is now closed, but it will open again soon. Don't miss out! In a traditional work environment, meetings are held in person. The Remote Work Solution: Zoom, Google Hangouts or Skype. My preference is zoom as it’s the best quality for calls. It allows you to see each other on video, audio, and share screen if there are presentations involved. It allows for hundreds of people to join a call, so there is no concern with how many people can join. When you need to IT guy to come over to your computer to help you with something. The Remote Work Solution: With tools such as Zoom you can screen share with remote access. Here’s what this means. Zoom allows you to virtually share your screen with a colleague/person of choice, then you can click to give ‘remote access’ which then allows the other user to see your screen and move the mouse around/click and interact with your computer virtually from their own computer - hence ‘remote access’. It’s like someone is there taking a look at your computer and moving the mouse/clicking around to fix it except it’s done virtually. 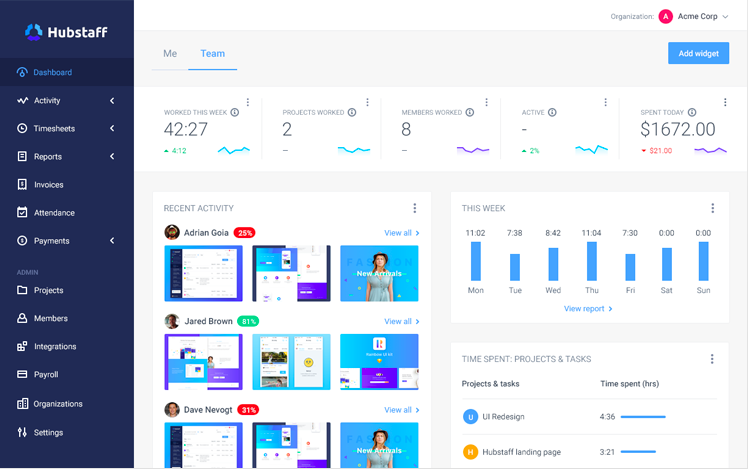 The Remote Work Solution: Project Management Software that helps you manage projects, tasks and notes, such as Asana or Trello. There is also Google Calendar, which allows users to share certain parts of their calendar with their team, if they so choose, send reminders, invite others to meetings or events etc. In a traditional work environment, everyone comes together in one room, collaboratively goes up and write their thoughts or ideas on a whiteboard or piece of paper in the middle of the table, everyone discusses and marks up until the brainstorm session is complete. The Remote Work Solution: You solution for virtual, real-time collaboration for remote teams is Google Suite. Part of Google Suite is Google Drive and includes everything from spreadsheets (known as ‘sheets’), to ‘powerpoint’ (knowns as ‘slides’), to word documents (known as ‘docs’), and even Google ‘drawing’. I personally pay for and use G Suite. Google Drive allows team members to collaboratively work on something together, in real-time. The document tracks who wrote what and when, which can be viewed in the ‘history’ tab. Each different person gets a different colour associated so you can see who is writing what and where they are writing it in the document. It’s just like being there in person. If you want to add another element to really feel like you’re all there in person working together, jump on a Zoom video call while you collaboratively work so you can see and hear each other too. Below is a screen shot to simulate what it would look like working collaboratively. This was a worksheet taken from the 'How to Become a Digital Nomad: The Complete Guide' Online Course. Walking over to a Colleagues desk to ask a Question. The Remote Work Solution: Fire whoever does this, then use Slack. Slack is the #1 communication tool for remote teams, as named by me. But for real, I don’t know a remote team that doesn’t use this tool. It’s an organized chat platform that allows you to organize topics by ‘channels’. You can decide who on your team can see what, who can have access to certain channels and who can not etc. It’s the best, most organized way to have conversations remotely and to touch base with team members in real-time. That means you can have personal, private 1:1 chats with anyone on your team. This is also great because it allows you to see who is online. A green dot beside their name indicates who is there (aka online) or not. If they’re not there you can still message them (it’d be like leaving a little sticky note on their desk to come see you when they get in). Taking a look around to see who’s ‘in’ the office today or who is 1 min late (for those of you who love office politics). The Remote Work Solution: Again, Slack is a ‘main’ tool many remote teams use to chat with their team in real-time and to see who is online. So if you ever want to see who is in, scroll down to your list and see who has a green dot beside their name. You can see an example below from the Hashtag Nomads Slack Channel. Water Cooler Chats/ Beers after Work. The Remote Work Solution: Maybe you like the random conversations with the team throughout the day or grabbing beers after work. Again, Slack is a great platform to chat, along with Zoom which is great for video calls. 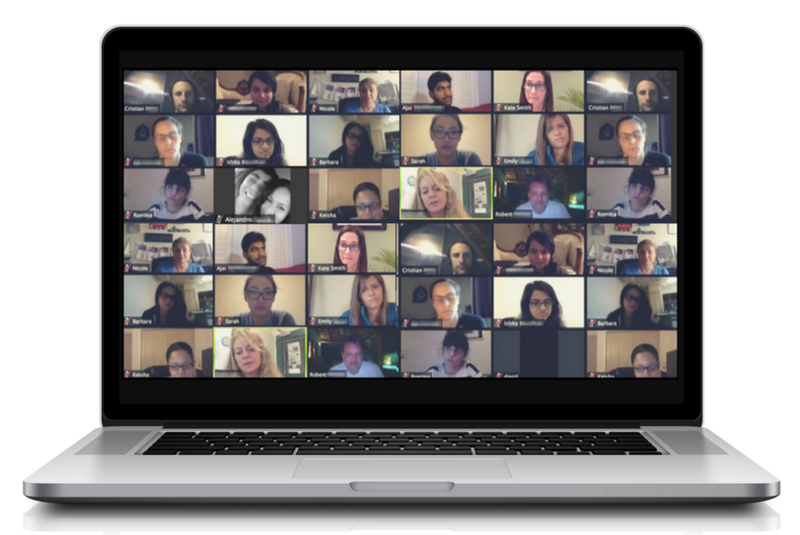 Some remote teams will even have certain nights where the team meets virtually to connect on a non-professional way. So whether it’s a game night, or just chats while everyone catches up over a beers. Yup, you can still drink a beer virtually with your team! The Remote Work Way: You can use tools such as Adobe Scan to keep a virtual copy of any ‘paper’ Documents and you can store in the cloud or on Google Drive. This alone could save many organizations a lot of space in the office, which means they could save a lot of money from the perspective of how much room they actually need for everything. I remember in my corporate career, before meetings, I would print an agenda for everyone attending a meeting. First of all I look back on this and cringe - what a waste. I can’t believe how much of a negative impact offices have on the environment BUT this too can be done remotely. The Remote Work Solution: Sharing the file with your team so whoever you grant access to can access it from anywhere. You can also use tools such as Adobe scan, in case there is some document that is physical and you need a virtual copy to share with your team. You could also just take a picture of it with your phone and share it, but Adobe Scan is great in that it can capture the words on the document so you can highlight on the document virtually (just like any other online document) and easily ‘search’ for words within the document… which makes it way easier than slowly going through a document, reading and scanning through to find something specific. Keeping an eye on the new guy to make sure he’s actually working or checking in that “Susan” is actually working. This includes frequently walking by their desk, glancing at what’s on their computer screen (they could be on Facebook, right?!) etc FYI - if you have these people, you shouldn’t have hired them in the first place and you’re bad management. The Remote Work Solution: HubStaff. Hubstaff can be customized but what this software does is will screenshot an employees screen at random times throughout the day (your employer can choose the frequency). It will also notify once they mouse or keyboard has been inactive for a set period of time, indicating that someone is away from their computer, Mobile app with GPS tracking in case your team has to go ‘off-site’, it can also show what sites that person visited throughout the day and how long they were on it for. To me this is the equivalent of your boss literally standing over your shoulder watching every movement you do and it’s uncomfortable and to me indicates a lack of trust in employees. Murdering Forests and Wasting Money on Paper. The Remote Work Solution: Virtual documents :) Google Suite has it all! The Remote Work Solution: Computer and Internet. This one speaks for itself. Gone are the days of carrier pigeons and pen and paper. When the computer was invented I’m sure there was some resistance to integrating that into offices. I’m sure at the time it was shared with the public people never thought that one day every office and every person working from an office would work at a computer. But then it proved it’s cost savings and efficiency. This is no different than working in a cubicle office and working remotely. Sure, not everyone is on board yet, but it’s part of the working evolution. It’s the future of work. Ready to go remote? Make sure you have the top 10 apps for going remote, before you start your journey. Let me know your excuses or excuses you’ve heard for not being able to go remote in the comments below. I challenge you to also write the solution, alongside the ‘excuse’ but if you don’t know the solution I’ll respond to every comment with what I believe is the best solution to the problem. Want more? Subscribe to the newsletter to get digital nomad tips, tricks, and resources sent straight to your inbox. Thank you! Please go check your inbox to confirm your subscription so you can keep getting all these digital nomad goodies straight to your inbox! Follow the journey of working remotely while traveling the world. Did you know most blog posts take at least 8 hours to write, edit, and promote? but you get it all for free. So sometimes I'll throw affiliate links in blog posts, of companies I trust, to help support the cost of running the blog and to cover the time it takes to write all this free content :) I appreciate your support so I can continue sharing great, free content for you!